This is a collection of synthesised sounds mainly made with chaotic systems and autonomous instruments. These sound examples belong to my thesis (full pdf). All sound examples can also be downloaded as a zip file from DUO. Concatenative synthesis with a corpus of heterogenous material sorted by ascending spectral entropy. These are very basic things that can be done with three different nonlinear synthesis techniques, and there is nothing fancy about these examples. Wave terrain synthesis is here demonstrated with two differently tuned oscillators that create Lissajous figures, whereas the terrain is a third degree polynomial function. Various frequency ratios are used, and during each tone, the oscillator's amplitude decreases. Discrete Summation Formula synthesis is used with various carrier to modulator ratios. The modulation index is ramped up and down during each tone. The tremolo oscillator is actually FM synthesis with a square wave modulator. Here, three different implementations are demonstrated: first, the square wave is a truncated Fourier series, next, it is an unsmoothed square wave, and lastly, a lowpass filtered square wave is used. This chapter is mainly about chaotic systems and their use in music. Filtered feedback FM with a lowpass filter in the loop makes it possible to use very high modulation indices before the sound becomes noisy. Subharmonics are heard as the modulation index increases from 1 to 25. The biquad lowpass filter's cutoff is periodically modulated. Feedback FM with a pure delay is different: Here the delay is increased in six stages from one sample to 0.2 seconds. The carrier is swept over one octave, while the modulation index is 1 throughout the example. This is a physical model that produces clarinet-like sounds (clarinetists, please don't take offense!). It uses several parallel delay lines which are successively opened and closed, while a parameter corresponding to blowing pressure is gradually decreased. The Rössler system, one of those famous chaotic flows, produces clear pitched sounds with a subharmonic bifurcation cascade as one of its parameters is varied (c increases from 2 to 6, and a = b = 0.3). Labyrinth chaos is given by the equation dxi/dt = sin(xi+1), where there are N circularly connected such systems. In this example, a damping term -pxi has been added to the right hand side, with p=0.32 and N=71. The signals yi = sin(xi) are here used to modulate the frequency of 71 oscillators. The Kuramoto model in an interesting system often used in studies of synchronisation. This model uses all-to-all coupling, which makes it a bit inefficient for sound synthesis (O(N2) for N oscillators). Here, only five oscillators are used, and their coupling increases from 0 to 10. Of course, they end up being synchronised in the end. The simplest example of a feature-feedback system might be as follows. Take a sinusoidal oscillator, and estimate its frequency using ZCR (zero crossing rate). Then map the ZCR to the oscillator's frequency by some suitable mapping function. This is how it sounds with the mapping function m(z,C,F) = F cos2(Cz), where z = ZCR(xn), and xn is the output of the oscillator. Here F = 1 kHz, and C is swept linearly from C = -500 to 1500. The cross-coupled oscillator maps its output amplitude to its control frequency, and vice versa. With 150 ms analysis windows for the RMS amplitude, a noisy meandering melodious line results. 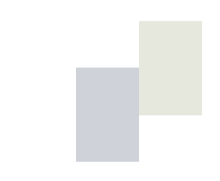 The extended standard map is inspired by the Chirikov standard map, but includes filters and cross-coupling of two identical subsystems. Characteristic initial transients may be heard when the coupling is weak. Intermittent switching between two pitches also occurs in the extended standard map. Turning the extended standard map into a feature-feedback system by analysing the spectral balance with a1a3, the intermittent switching between pitches can be even more exaggerated, now including more than two pitches. The one and only example of a stochastic system is the nonlinear feedback-FM oscillator which escapes from oscillation death by the injection of weak noise. A simple pitch control scheme was implemented, and it even works ... well, yes, almost. Two realisations illustrate how different sounding this model may be at the same parameter values. The wave terrain model is a somewhat more complicated system. Here its parameter space is searched randomly, as can be heard in a few resulting sounds. Long transient processes are commonly found in the wave terrain system. Here's an example that takes well over a minute to find its way out to the decaying vibrato which eventually leads to a stable pitch. The Autonomous Instrument Song Contest contained the following twelve sound examples. Section A uses discrete summation formula synthesis. Only the window length of the feature extractor is varied. Section B uses the wave terrain system. Section C uses the tremolo oscillator. Concatenative resynthesis of Mumma's Hornpipe at 5 times the original speed, using the wave terrain system as corpus. Motif mappings is the idea to apply the principles of feature-feedback systems on the note level (or symbolic level, in contrast to the signal level). As a demonstration, here is a long example of a melody created by successively modifying the previous version of the motif. The number of notes may shrink or grow as the transformations are applied. One out of about eleven different transformations is chosen randomly. In this case, there is no analysis (or feature extraction) of the previous motif, except that the number of notes in the motif is considered. Longer example with complex behaviour (I don't remember exactly how I did it). Formant effects can also be obtained. where 'expression' (your favourite one-liner) is a function of t using binary operations. Or consult the experts. Here, for once, the algorithmic complexity may be computed. Sawtooth using (3.5t) for the expression. Repeating pattern using (5*t ^ 3*(t + t%12) | (t/125)). Feedback FM can result in very complex patterns, even in the absence of modulators or changing parameters. 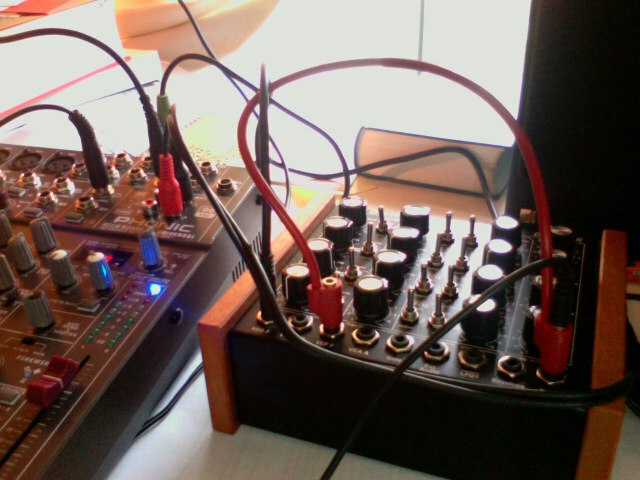 Here are two examples made with a Dark Energy analog synth. All the above sound examples of autonomous instruments and other synthesis models by Risto Holopainen are licensed under a Creative Commons Attribution-NonCommercial-NoDerivs 3.0 Unported License.